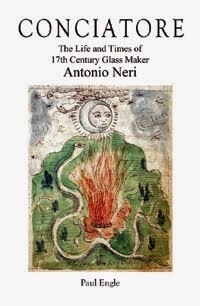 L’Arte Vetraria, Antonio Neri's 1612 book, would eventually become the glassmakers' bible throughout Europe. By 1900 it had been translated into six different languages; Italian, English, Latin, German, French, and Spanish (and in this century Japanese). Because of its seminal importance in the spread of glass technology, often overlooked are a few recipes at the back of the book, which have only a tenuous connection to the main subject. Among these is a metallurgical formula for making convex mirrors. Neri gives instructions for producing what we would now call a "white bronze" that may be cast into a rounded form and polished to take on a highly reflective surface finish. 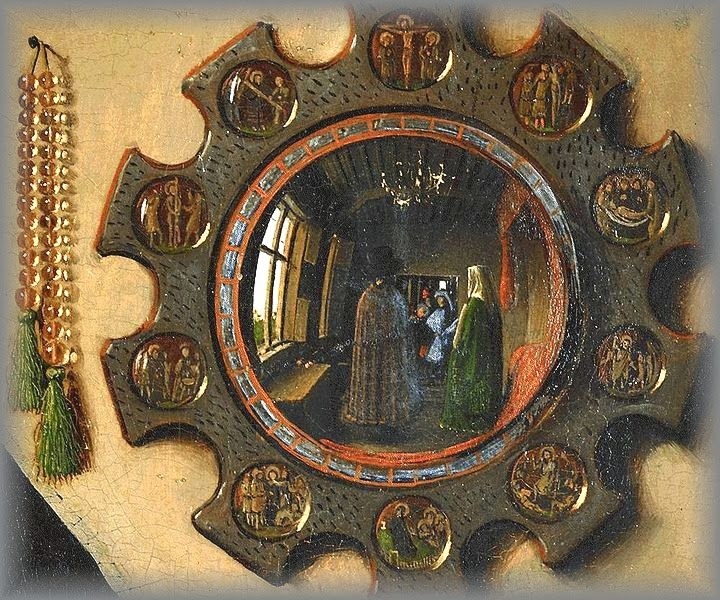 This "spherical" form of mirror was popular throughout the Renaissance. It reflected a wide-angle view of the space in which it was hung, but at the cost of distorting the image. Nevertheless, upon looking into such a mirror, objects are still quite recognizable. Have 3 lbs of well-purified tin, and 1 lb of copper also purified. Melt these two metals, first the copper, then the tin. When they fuse thoroughly, throw onto them 6 oz of just singed red wine tartar, and 1½ oz of saltpeter, then ¼ oz of alum, and 2 oz of arsenic. Leave these all to vaporize, and then cast [the metal] into the form of a sphere. You will have good material, which when you burnish and polish, will look most fine. This mixture is called acciaio and is used to make spherical mirrors. Of note is the fact that the word Neri uses for this alloy, acciaio, translates to "steel." Over the intervening four centuries, the meaning of this term has been refined so that today it denotes not simply a hard white metal, but a specific range of alloys containing iron and carbon. This recipe and a few others in the book show the breadth of Neri's experience in arts other than glassmaking. It is a conclusion greatly amplified by a perusal of his other manuscripts on alchemy and medicine. There is good evidence that our priest was a voracious reader, however he was also quite cautious about repeating techniques only after he had verified them personally. Besides, artisans never wrote down much of this knowledge – only passed in confidence between trusted parties – since, in a very concrete way, superior knowledge represented a competitive advantage over ones rivals. Even if Neri was in the business of divulging secrets, it is safe to assume that many of the artisans and craftsmen he interacted with were decidedly not. Two centuries before Neri, the beginning of the fifteenth century saw the invention of moveable type printing in Germany, but also the mastery of perspective illustration in Italy. The contribution of printing to early modern science is well documented, less obvious is the role playerd by artists and perspective illustration. Moveable type made possible the mass production of books; what did get committed to paper now stood a much better chance of survival and transmission. Perspective illustration played a more nuanced role, one that ultimately brings the convex mirror back into the discussion. In Venice and especially in Florence (Neri's hometown), perspective drawing became the rage among artists, largely due to the Italian translation of a book entitled Deli Aspecti, or "Alhazen's Book of Optics." Suddenly, paintings were made to look three-dimensional, with a realistic sense of depth to them. The new techniques were largely kept in Italy, but interest spread across Europe. Patrons placed great value on work depicting scenes in correct perspective, and in excruciatingly accurate detail. In Flanders, in 1434, Jan van Eyck produced "The Arnolfini Portrait," (above). Behind the main subjects, hanging on the wall is a convex mirror. The reflection in the mirror shows the backs of the two subjects, but also two other figures further back, one of which is thought to be the artist himself, and beyond him a strong light source. The image in the mirror is distorted exactly as one would experience in real life. There is growing speculation that among the secrets of "realist" (or naturalist) painters was a growing arsenal of optical tools and lenses used to map out and understand the attributes of perspective. 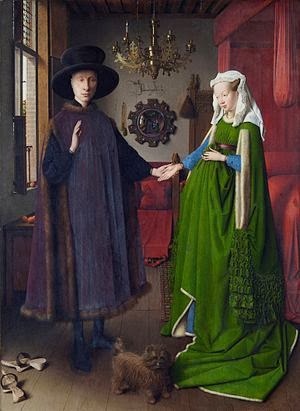 The mirror, in the Arnolfini Portrait was a sort of boast of the artist's proficiency in recreating reality on the canvas. The point is that here is a case where art led science into new realms. Painters started to take great pains in reproducing reality "as it is" on canvas. Soon minor experimenters like Neri and major luminaries like Galileo were taking great pains to do the same. They strove to observe nature "as it is," not as was prescribed in ancient texts, or dictated by authority. Once that process started, awareness of the world grew and there was no turning back. Finally, it is amusing to note that in his many manuscript illustrations, Antonio Neri himself never quite mastered perspective drawing, although he did try. * This post first appeared here 17 January 2014.